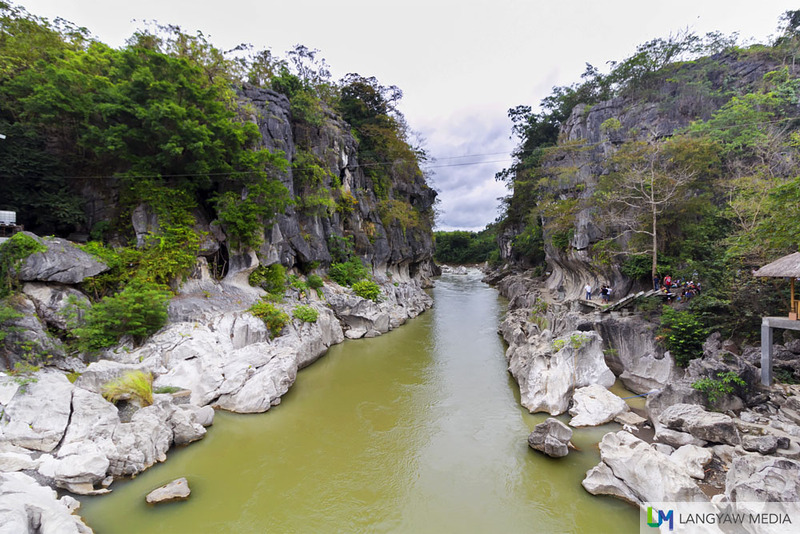 Minalungao National Park blew into social media months ago because of its outstanding rock forms and picturesque view. Up close, those white rocks have been weathered and smoothed for millennia that its just got beautiful undulating curves. 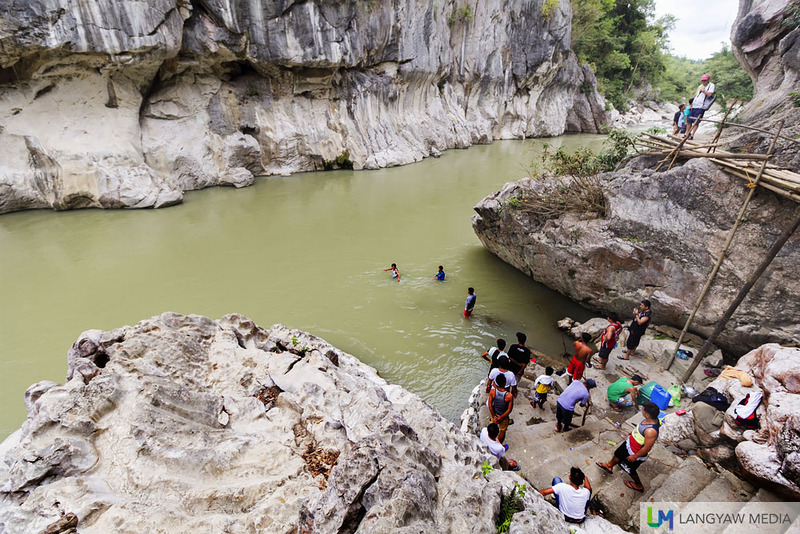 It reminds me of the Timbaban River in Aklan and Marmol Cliff in Cebu. And I got curious. It’s rather a long drive to reach Minalungao National Park as our bus motored its way from Fort Magsaysay, passing pastoral landscapes and rolling terrain. When we arrived, there were already several vehicles parked at a narrow stretch of land bordered by the river and standing water. Several rafts at one side were moored, waiting for paying guests. The river is wider than I expected and the stream of people enjoying the park was not as sizable considering. According to Anna Eugenio, SB secretary, as much as 6000 guests on peak days during summer and 1000 around weekends on other months. As we were walking to the big hut where we were to have lunch, I got a glimpse of the beautiful white rocks at the riverbank. 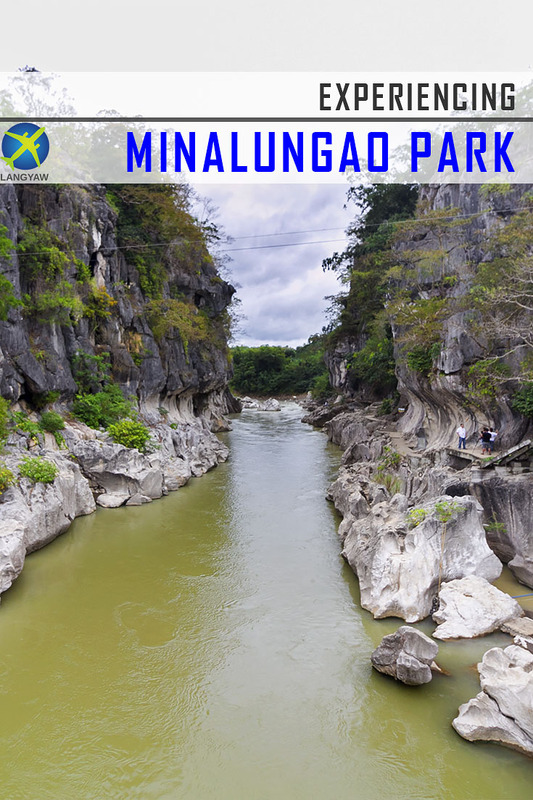 Minalungao National Park was enacted in 1967 with a land area of 2,018 hectares with much of it forest in the municipality of General Tinio, formerly Papaya. 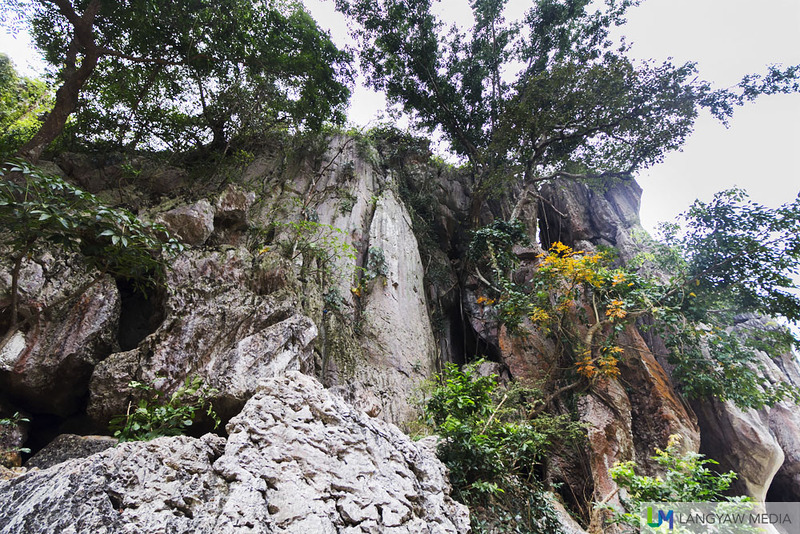 It derived from two words: mina (mine) and lungaw (cave) and literally means place with several channeling caves. 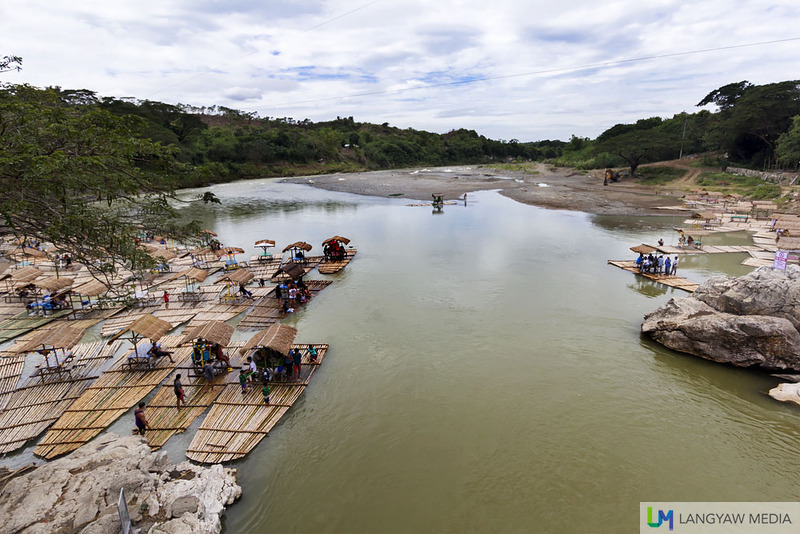 Squatters used to float illegally cut logs from the forest along the Sumacbao River, a tibutary to the bigger Penaranda River. 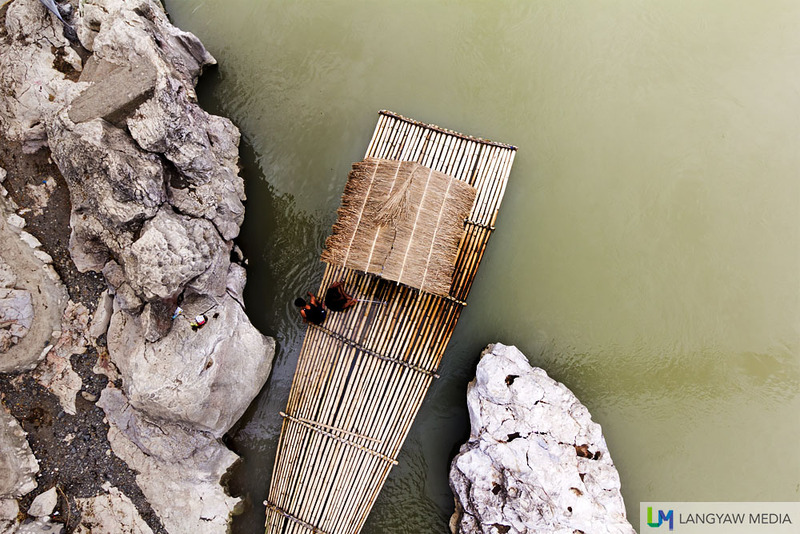 Although it’s a popular swimming area, locals caution visitors of the seemingly unpredictable underwater currents along the narrow stretch. Pottery shards, believed to be prehistoric, have been found in some caves. 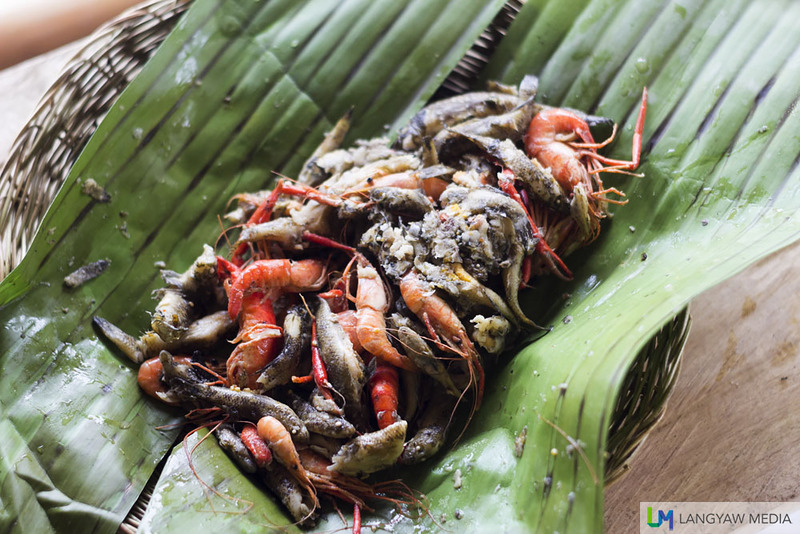 After a sumptuous lunch of traditional Nueva Ecijano, I went down to explore. There’s a cemented footpath to the twin cliffs where you can get a close look at the undulating forms on the rocks. The lower portion of the cliff have been gouged out by the flowing river while trees cling on to the walls. The patterns as well as forms on the cliff and rocks are so interesting! 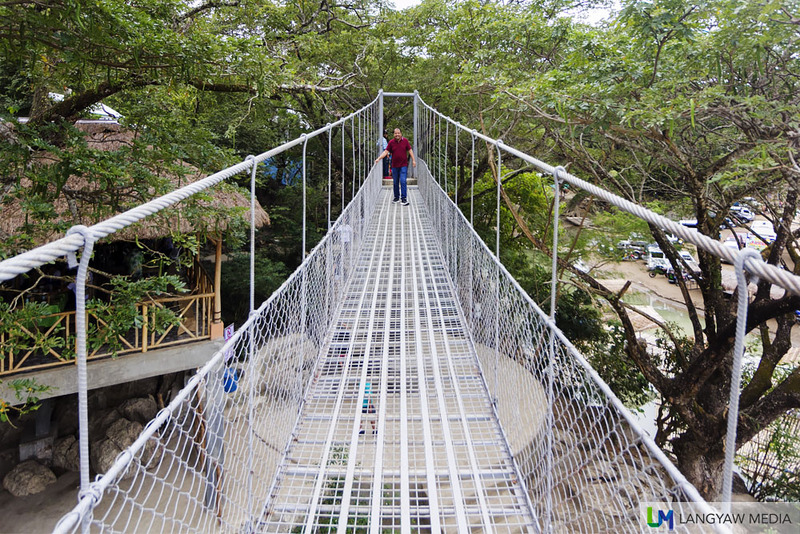 For better views, the hanging bridge provides a panoramic spread on both sides. 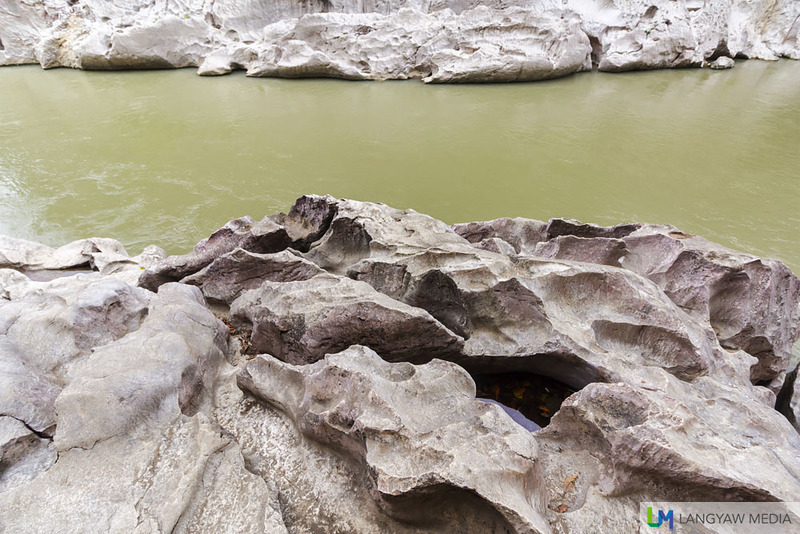 It also gives access to the other side of the Sumacbao River. If you follow the foot trail, and a series of steps uphill, you will get to the topmost part with a glass cross overlooking the area. On a clear day, you get a glimpse of Mt. Arayat lording the central plain of Luzon. GETTING THERE: Minalungao National Park is accessed via several points: Fort Magsaysay, Gapan and Nazareth in Generial Tinio. Visitors from Metro Manila usually start in Gapan where tricycles can be hired for P400-P500 for the 14 km distance. Entrance fee at the park: P50, P100 (summer months).